Americans—FREE AT LAST! | Scanned Retina – A Resource for the People! I have lost count of how many discussions where I talked about lost trust and betrayed trust in institutions from religious, to banking and all between, as institutions attempt to make policies and implement worldwide governance. Maybe I have talked about lost trust more than 200 times in detail. Which is why I get some measure of entertainment when it goes to court and legal complaints charging wrong doing and harm! Before you read the current events below about the Legal Suit against major banks, I want to share some background. I recall back in March 2015 Swiss Banking Giant UBS Settled $135 Million with U.S. Law Firm Hausfeld in Forex manipulation cases. I also recall saying that this wasn’t over, I was referring to the systemic fraud and corruption revealed in LIBOR and Forex rigging. I felt that this article about Okinawa shows the parallels between their peaceful resistance and that of Kapu Aloha which was used by the Mauna Kea protectors. It also highlights the very important (at this time) role of women in this movement towards global peace. It’s long and detailed, but inspiring, in my view. “One of those roughly displaced was a fellow octogenarian, Fumiko Shimabukuro, a staunch resister, present daily at the protest site. She and I conversed with the help of Dr. Akibayashi. She told me that her participation in this struggle to prevent the construction of the airbase, and all the years of protesting the presence of the US military bases derived from a basic commitment to the larger cause of the abolition of war. THE ORIGINAL CONSTITUTION BARRED THE BAR’S ‘ESQUIRES’ FROM HOLDING PUBLIC OFFICE! From the ACS Editor: Judge Dale also explains how the momentous Supreme Court decision, Bond v. US (2000), was intentionally buried to prevent the people from finding out about the faux USA corporate government that has been unlawfully ‘slid’ into place. Every once in a while it is a good thing to review something we already know and have known for quite a while. What we’re talking about are derivatives and the very basics of how they work… or not. We have seen massive volatility since the Fed raised rates last month. 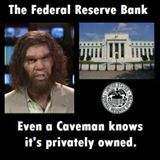 The humor (tragedy), admitted to yesterday by the Fed, the 4th quarter saw slowing economies all over the world and “Nobody Really Knows Anything Right Now” ! “You Know Something Is Wrong When…..An American Affidavit of Probable Cause” | Scanned Retina – A Resource for the People! Just publishing this notice and information would seem to be lacking providing additional suggestions on how to lawfully and orderly proceeding to implement the required changes. Below are just some thoughts on how and where to begin. Please add any comments you deem appropriate. It would seem that there should be some sort of NOTICE provided announcing the termination of all contracts and agreements with any current contractors/employees. Washington, D.C. recognition revoked. Start charging rent for space. The Administration given 5 days to vacate the premises. – If you were wondering how banks got “too big to fail,” here’s a good place to start. This chart shows us how, over the last couple of decades, 37 banks have became just 4 mega-banks. These same 4 mega-banks have, thus far, been immune to the consequences of any and all of their terrible decisions that places the entire world economy in jeopardy. What Would A Real Discussion on Reparations Look Like? Superb analysis of what an honest dialogue around reparations should look like – one that takes account of class differentiation among African Americans and the black “misleadership” class. What would a serious discussion on reparations look like? Will anybody ever come up with a realistic roadmap to get there, or is reparations talk just that –- all talk? Is reparations an answer to class politics, or is it the politics of a particular class? And what if we fought for millions of new green jobs, rolling back the prison state, guaranteed annual income, decent housing and free education but didn’t call it “reparations”? Bravo, very well written. Will be quoting you in our court case :). Thank you, blessings. 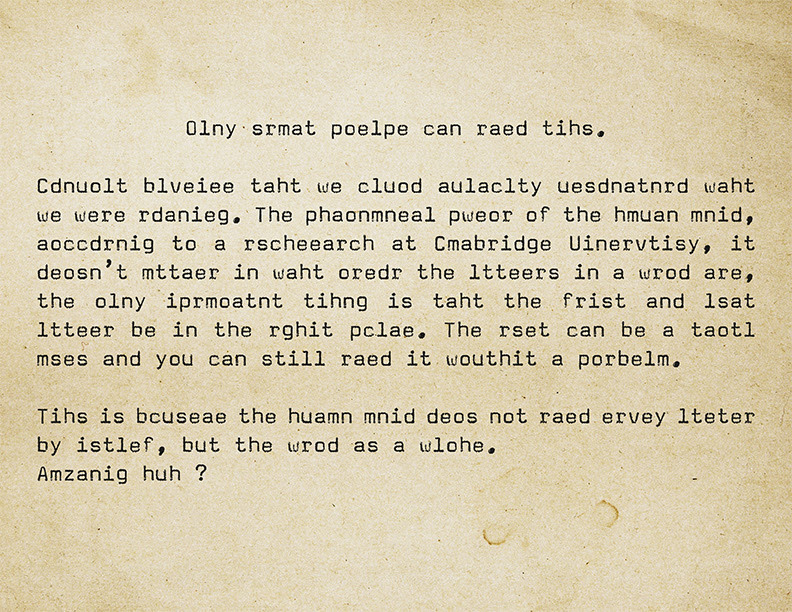 ❝Reading in the current age of the Internet has led to some subtle modifications in how we read. I suspect we are consuming so many words, or at least way more than normal and as a result we have become “skimmers” and letting our brain to fill in the gaps. I was reminded of our changing behavior by a marketing email from Le Labo Fragrances. Thought you folks might get a kick out of it!